Some players burst onto the scene with massive hype and expectations but never quite live up to their billing, Milan’s Hachim Mastour being a prime example. While for others, the buzz builds steadily over time and by the time the player reaches the elite level, it can feel like they have been overlooked, before a top club eventually swoops. 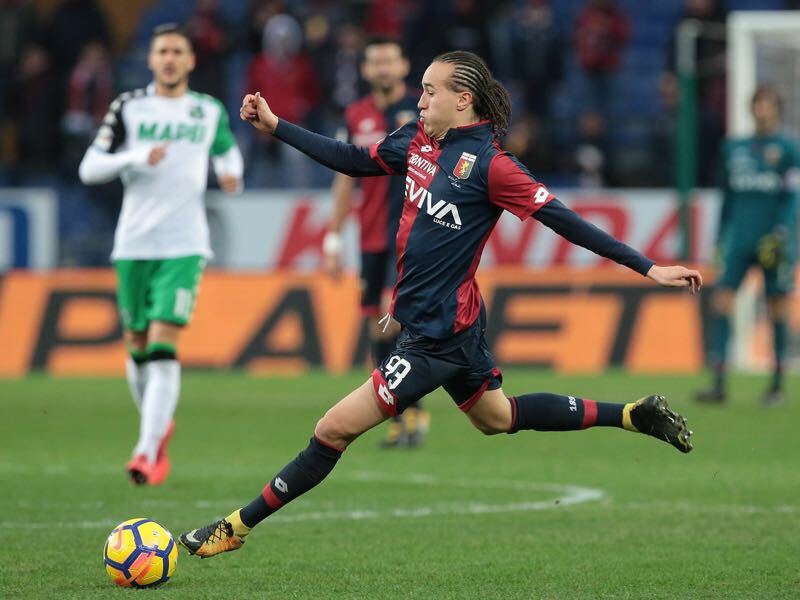 One of those players is Genoa’s the Uruguayan wing-back Diego Laxalt. 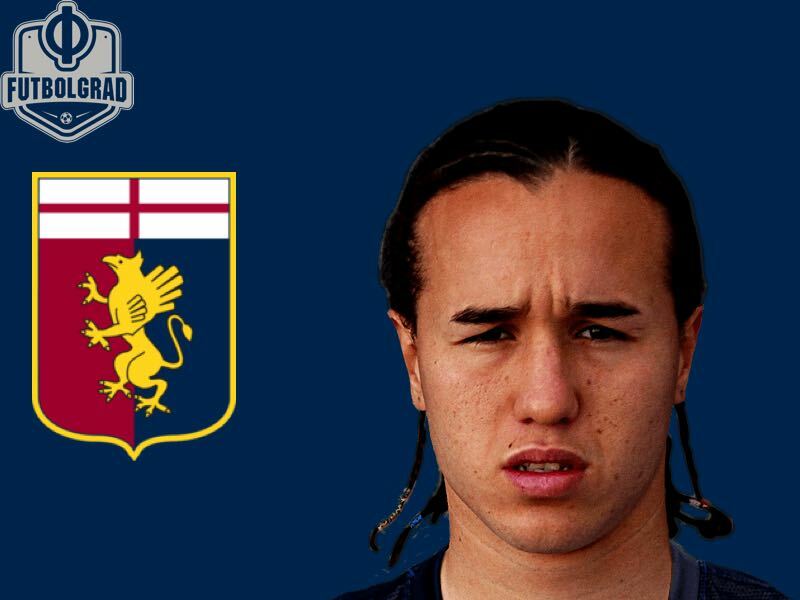 When Internazionale paid £2 million to Uruguayan side Defensor Sporting to bring 19-year-old Diego Laxalt to Italy in 2013, there was little fanfare and the player was sent straight on a season-long loan to Bologna where he proved to be a useful attacking player operating wide on the left. Another loan spell at Empoli followed before he found himself on a third loan outing at Genoa where he came under the tutelage of Gian Piero Gasperini. The vastly experienced boss, now in charge of the over-achieving Atalanta, found a way to unlock the player’s obvious potential and his trajectory has arced massively ever since. His break out season came in 2016-16 when he made 36 appearances scoring three goals and providing four assists as the team from Liguria finished 10th in the league. Despite Gasperini’s departure on June 14, 2016, Genoa wasted no time in securing the Uruguayan’s services on a permanent deal worth just over £5 million. Now regularly operating as a left wing-back, the player seems to have found his niche. In a game where fast, consistent and skilful players in that position are in short supply, it is a surprise that he hasn’t already been snapped up by one of Europe’s bigger clubs. He was Genoa’s joint-top assist provider in the 2016-17 season and has been one of the team’s standout players this season, bagging two goals already including a late winner in a 2-1 victory at Lazio. Only striker Andrey Galabinov, with a total of three, has scored more goals for I Rossoblu this term. In the 2018 January transfer window, it was reported that West Ham United were interested in the player. But in truth, it is hard to imagine how he would ever fit into a David Moyes system and whether a move to England would suit him at all. So where could the £10m rated player end up if he were to move? To answer that question, you have to consider which teams operates a system that could get the best out of him. It would have to be a team that plays quick high-pressing football with emphasis on the counter-attack. And one that encourages its full-backs or wide players to get forward on a regular basis. The first and most obvious choice would be Atalanta. The club are currently in the knockout phase of the UEFA Europa League and are establishing themselves as one of the most entertaining teams to watch in the TIM Serie A. And of course they are coached by Laxalt’s former mentor Gasperini who has already expressed an interest in being reunited with the player. Other potential destinations could be Roma, who have recently lost Emerson for a €20 million fee to Chelsea, Fiorentina or perhaps even Torino where another former boss, Walter Mazzarri, is currently in charge. It could also be argued that Napoli priced at 5/6 to win Serie A with Bet Way Sports, would be his best option in Italy, and there is something appealing about imagining him lining up alongside other talented youngsters such as Piotr Zielinski. There is also a case to made that Laxalt would fare well in Spain, where wing-backs often enjoy the freedom offered by open and expansive football. And while playing understudy to Jordi Alba at Barcelona might be a stretch too far, the 24-year-old might fit in well at somewhere like Sevilla, where former Milan and Roma boss Vincenzo Montella is currently plying his trade. Such is the uniqueness of their profile that players who can operate wide in both an attacking and defensive role are becoming more appreciated but are still sometimes overlooked in the transfer market. Mitchell Weiser was 2016-17 player of the season at Hertha Berlin switching between forward and wingback positions and is another player who has yet to attract the advances of a bigger team. In a world where a player can be sold for €222 million, it seems crazy that someone with the quality of Laxalt may struggle to command a fee of €8 million.